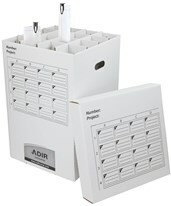 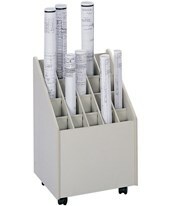 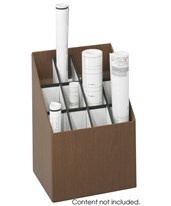 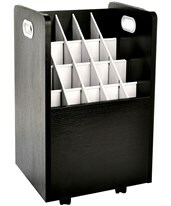 An upright roll file is perfect for convenient and easily-accessible compact large document storage. 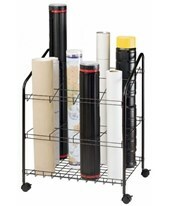 For rolled plan storage and rolled drawing storage, an upright roll file offers you a space-saving and budget conscious alternatives. 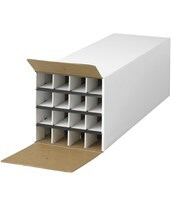 Upright roll files are made of wood or corrugated fiberboard, with as few as 8 or as many as 50 compartments for rolled document storage. 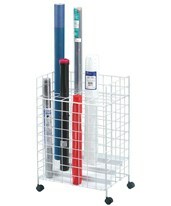 Some upright roll files have a footprint as small as 15 by 12 inches, with a height of 22 inches. 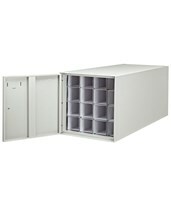 In this small space you can easily store 100 documents 36 inches in length or even longer! 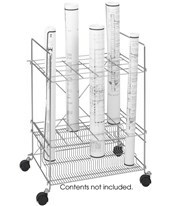 Filing your large documents is easy with an upright roll file - just roll up your blueprint, map, or plan drawing, attach a tube ID tag for easy identification, place it in its compartment and you're good to go. 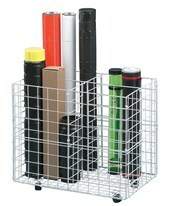 Some upright roll files feature labeling grids so you can see the contents of the file at a glance. 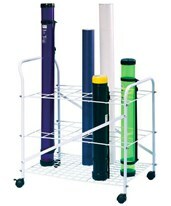 You can also put your rolled-up documents in fiberboard or plastic storage tubes in a variety of colors and sizes to further separate and organize your files and protect them from dust. 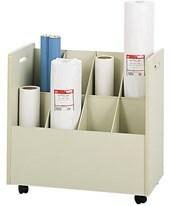 Upright roll files work so well for rolled blueprint storage because they hold documents of any size. 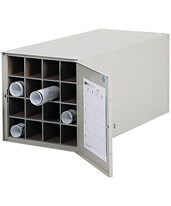 Since the compartments are not enclosed, large documents fit easily, and, depending of the file, small documents are also easily accessible. 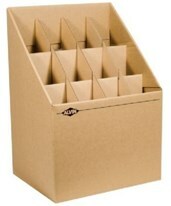 Corrugated upright roll files are highly portable-- one person can easily pick one up and move it. 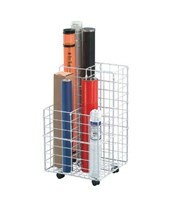 Wood upright roll files can be easily moved from place to place on their 4 swiveling wheels. 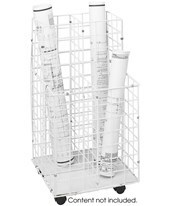 Tiger Supplies offers a variety of well-made upright roll files from leading manufacturers such as Safco, Alvin, and Adir. 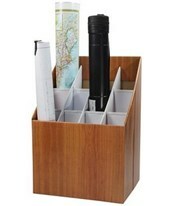 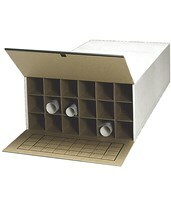 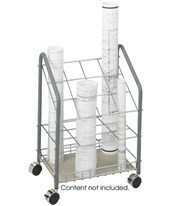 You'll be sure to find the upright roll file for your rolled document storage needs.